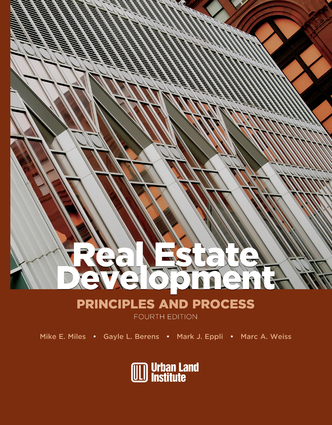 Ideal for anyone new to real estate development, the fourth edition of this bestselling book covers each stage of the process step by step, explaining the basics of idea conception, feasibility, planning, financing, market analysis, contract negotiation, construction, marketing, and asset management. Thoroughly updated, the book includes material on financing and marketing. Mike E. Miles is a portfolio manager for Guggenheim Real Estate, manager of nearly 3 billion in assets. Miles has also been a professor of real estate and dean of the business school at University of North Carolina at Chapel Hill.